ATOMIC HOMEFRONT shines an urgent and devastating light on the lasting toxic effects that nuclear waste can have on communities. The film reveals St. Louis, Missouri's past as a uranium processing center for the atomic bomb, and the governmental and corporate negligence that lead to the illegal dumping of radioactive Manhattan Project waste throughout North County neighborhoods. 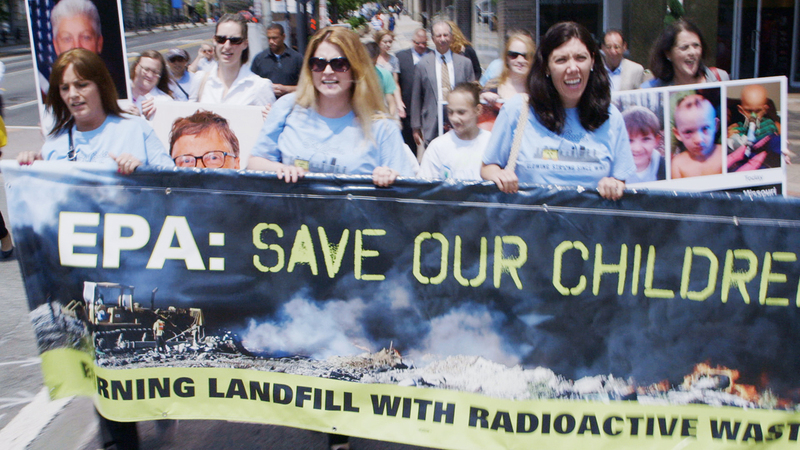 Focusing on a group of moms-turned-advocates, the film follows the women as they confront the EPA, government agencies that are slow to provide aid, and the corporations behind the illegal dumping of dangerous radioactive waste in their backyards. Both a harrowing indictment of institutional misconduct and a tribute to the heroism of mothers fighting to protect their families, ATOMIC HOMEFRONT is essential viewing for anyone interested in environmental grassroots activism, government and corporate responsibility, and the effects of nuclear waste on human health. "A calmly infuriating look at an environmental nightmare that will have many viewers wondering, "Why haven't I heard of this before?" "Chilling. A deep dive into the history of the illegal dumping and government lethargy verging on indifference in the face of devastating and ongoing new evidence." 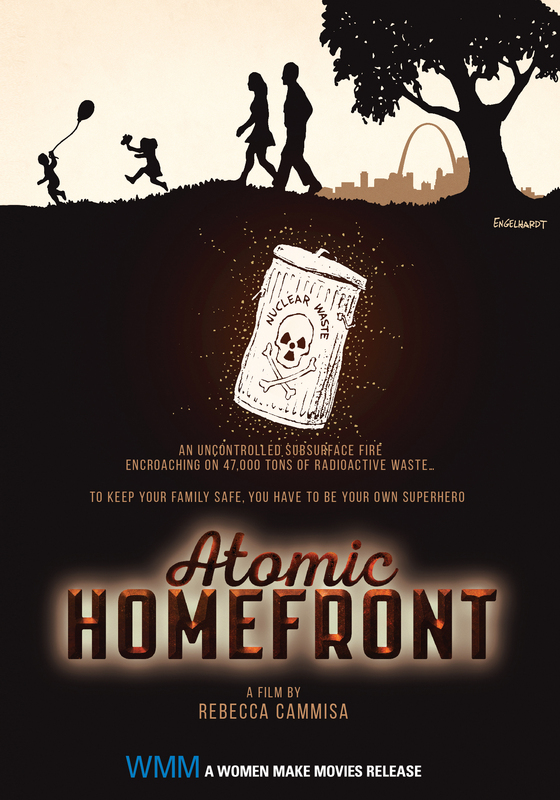 "A documentary about shameful institutional conduct and heroic individual activism, Atomic Homefront details the ongoing crisis taking place in North St. Louis County, Missouri. Compelling, infuriating." "Gripping, impactful. Both a fiery indictment of systemic inaction and a tribute to the work of those battling for their families' safety." "Powerful. Makes a timely and important contribution to the national debate on the risks of managing and permanently disposing of radioactive waste." 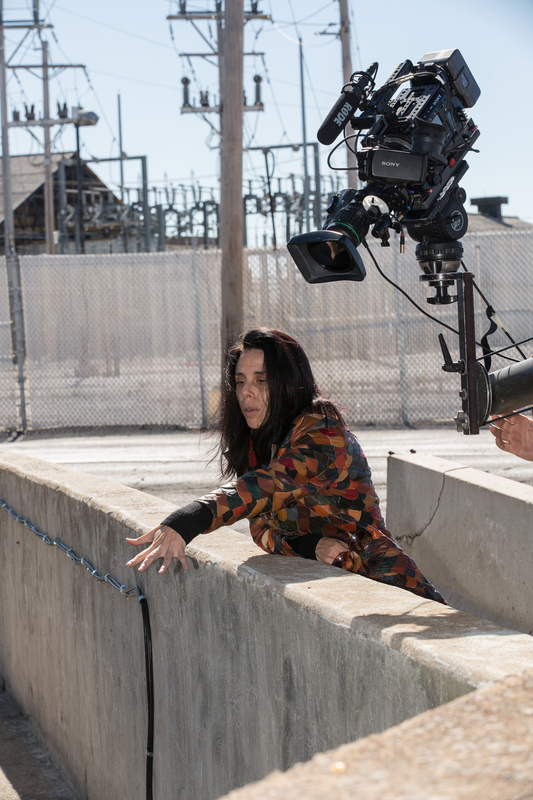 Oscar-nominated filmmaker Rebecca Cammisa’s ATOMIC HOMEFRONT shines an urgent and devastating light on the lasting toxic effects that nuclear waste can have on communities. Focusing on a group of moms-turned-advocates in St Louis, Missouri, the film follows the women as they confront the EPA, government agencies that are slow to provide aid, and the corporations behind the illegal dumping of dangerous radioactive waste in their backyards.